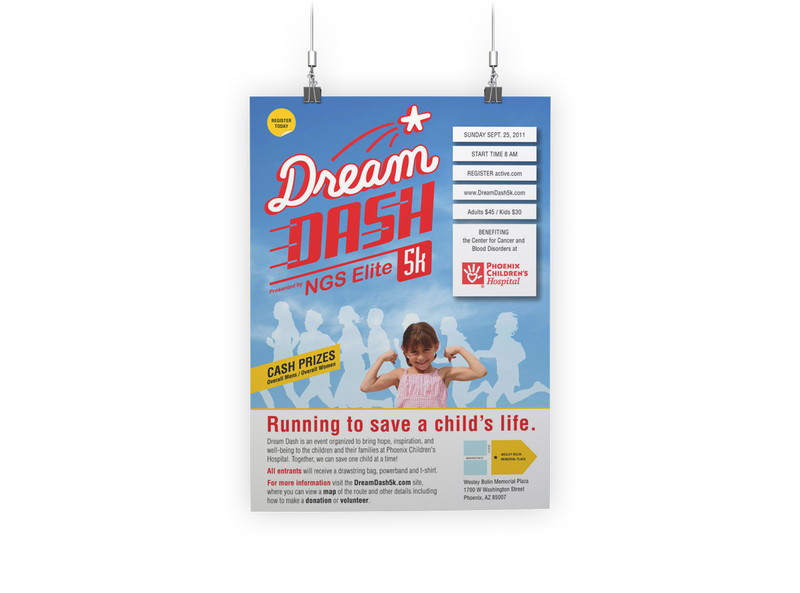 NGS Elite, a sports equipment client, developed the Dream Dash Charity Run to inspire health, hope and well-being. Proceeds from the event go to Phoenix Children’s Hospital. It grew to be an annual charity fun run for participants of all ages.